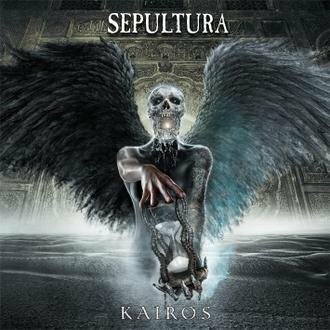 SEPULTURA - KAIROS (CD) | Online Shop | Wizard LTD.
One thing is certain: SEPULTURA is one of the major names in metal history. Being in the business for about 27 years, founding a genre of its own and influencing a whole generation of younger bands, these brazilians have proved to be a true institution. Even though the band had to go through rough times due to several significant line-up changes, different record labels, various changes in the overall musical environment, they never backed down, continuously following their path – always re-emerging stronger than ever before. Enter 2011 SEPULTURA have not only signed a brand new worldwide record deal with Nuclear Blast, made a statement by playing an amazing charity concert with the brazilian Orquestra Experimental de Repertуrio they also have traced back their roots, composing a brand new album that will mark another new chapter in the band's history. With “Kairos” Andreas Kisser & co. show how easily they can combine the sheer brutality of “Beneath The Remains” and “Arise” with the modern, yet thrashy and ultra groovy approach of classic albums like “Chaos A.D.” and “Roots” (including some really exciting tribal drumming again!) without sounding calculated rather than extremely fresh, hungry and simply back on track! Like its predecessors, “Kairos” was recorded at Trauma Studios in Sao Paulo, Brazil. To fit the music SEPULTURA present on “Kairos”, they tapped Producer Roy Z. (JUDAS PRIEST, HALFORD, BRUCE DICKINSON, HELLOWEEN etc.) to take care of the production. No doubt, he did a perfect job on this one since “Kairos” easily could be “Roots” logical follow-up – even soundwise. Of course one could go on and on talking about the band and this album in particular, but now it's time for you to judge – play it loud, really loud!